I hope our supplier doesn’t mind us posting this image but we wrote to Premium Beat (one of our music library suppliers) to say well done for providing such good quality music and they sent us back a personalised, handwritten, thank-you note. Just hope this inspires others, ourselves included, that sometimes an email doesn’t quite cut it. 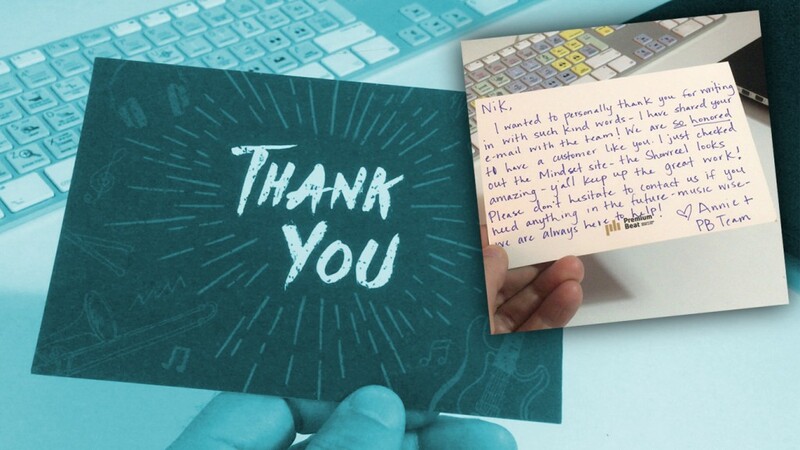 A handwritten card shows effort and shows you are cared for by your supplier.